Through the Entrepreneurship 2020 Action Plan and the Rethinking Education Communication, the European Commission has emphasised the need to embed entrepreneurial learning in all sectors of education, and the central role played by teachers. 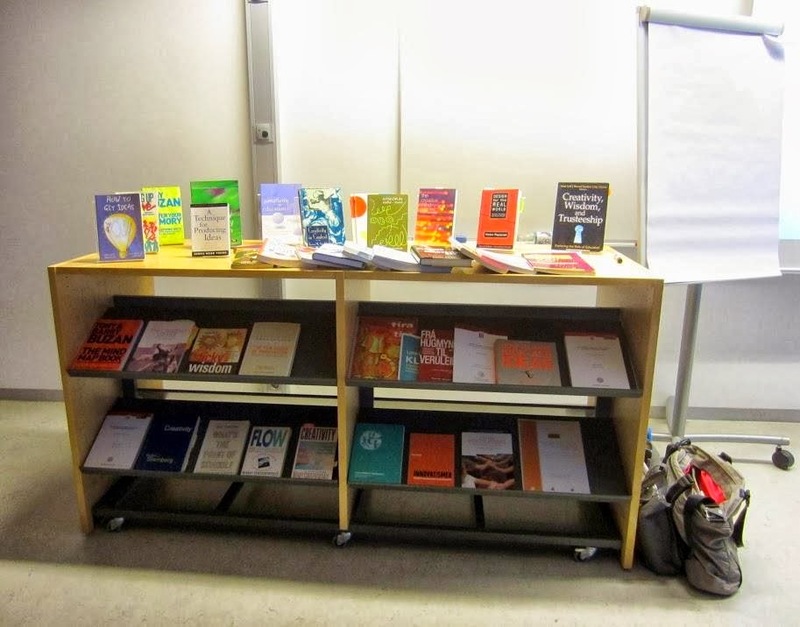 The Guide is the result of bringing together teacher educators, teachers and experts in two practical workshops (“Laboratories”) at European level, to exchange existing practice and to discuss best ways to move forward. The ideas and examples collected during those workshops have been collated into this Guide to be shared more widely. We would be grateful if you could spread this information to people or organizations in your countries who may be interested in this topic. At the moment the Guide exists only in English language, but translations are under way and will be available before the end of the year. Also printed copies will be produced, which can be requested for free from the Commission. You can find the ADEPTT contribution on page 60. • SPAIN: Ongoing follow-up of teacher-led projects designed during the pilot. Courses will be run again in the autumn, slightly different with shorter sessions in 3-4days, they will have time to prototyping and test and try in the classroom, in 3-4 months. Also promoting the ADEPTT learning idea in the regions (CCAAs) implementing the Strategy for Entrepreneurship and Youth Employment 2013–2016 with learning actions for experts and trainers involved in encouraging “aspiring entrepreneurs”. • WALES: In the UK the whole map of qualifications 14-18 yrs is being reviewed. In Wales they are bringing all the “entrepreneurial” skills developed in the frame of ADEPTT to this framework. (Pilot 2014-15 but the CPD will happen in between.) With the Welsh baccalaureate: Here there is an opportunity for a wider skill agenda: CPD in Wales fits into what is being done in ADEPTT. Also thinking of doing a CPD course, and a PGCE module on Entrepreneurship. (Linking it with Swansea MET and Cardiff Vale). 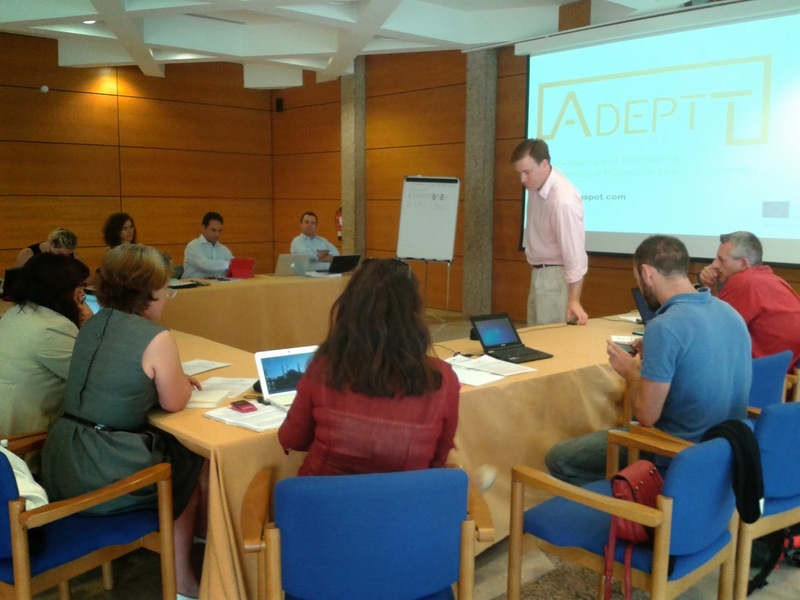 • PORTUGAL: Ongoing follow up with teachers trained in the pilot action of ADEPTT. Training will be expanded to other schools in the municipality of Amadora (part of the greater Lisbon area: in cooperation the K'Cidade Program of the Aga Kahn Foundation and the city hall). A future development idea is to also use a MOOC approach in reaching a larger geographic area and have greater impact. • NORWAY: They will develop a 6-day Technology and Research CPD Course University accredited and will build into a specific “entrepreneurship” module. 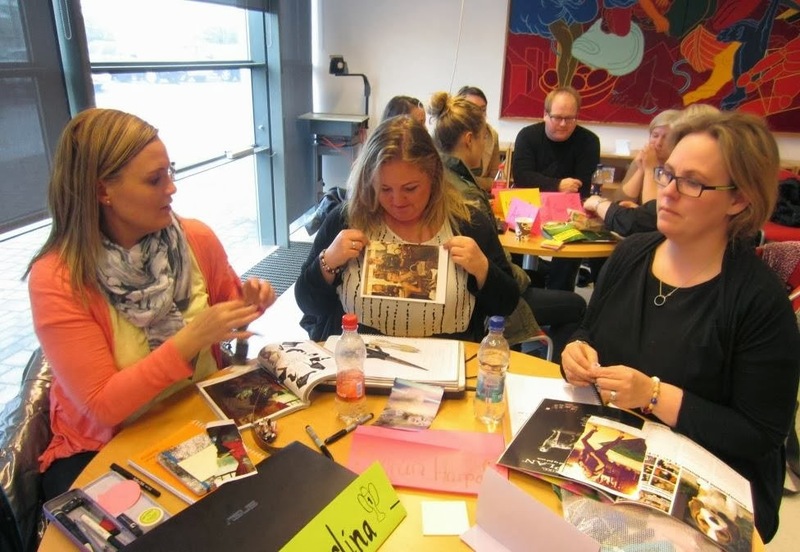 • ICELAND: They are working on a master degree: Executive education in entrepreneurial education: 90 ECTS masters structured like an MBA, 1 full year course. • FLANDERS: In the coming six months presentation of 30 master classes to VET students and teachers together based on the CRLC-model. Starting to teach students in Entrepreneurial education, with delivery to thousands of students and teachers. VLAJO will be doing the training for lower secondary teacher trainers. • GERMANY: Already scheduled are “training the trainer” seminars all over Germany. Also the idea will be to embed what is being done in other training as enrichment. VALNALON, the project lead partner, took part in the European Education, Training and Youth Forum 2013 held in Brussels last month (17-18th October). ADEPTT was featured in the workshop on Transversal Skills and Employability moderated by Elin McCallum (DG EAC). Four inspire zones were set up in order to discover how partnership working can create successful projects, in 4 areas of transversal skills (language, digital skills, entrepreneurial skills) and graduate employability. Each of these areas were discussed in an specific inspire zone. ADEPTT was chosen to illustrate the inspire zone on entrepreneurial skills. The use of small group approach and speed-networking methodologies (3 rounds of 20 minutes each) enabled a high degree of interaction. Participants were taken on a quick tour of the pilots (10 training courses in 8 countries) so as to make them familiar with the training model. Leaflets, hand-outs of course material and real examples of teacher-developed projects were shared. In the course of the conversation that ensued participants shared their own experiences and discussed to what extent ADEPTT teacher training approach could be applied in their respective countries. 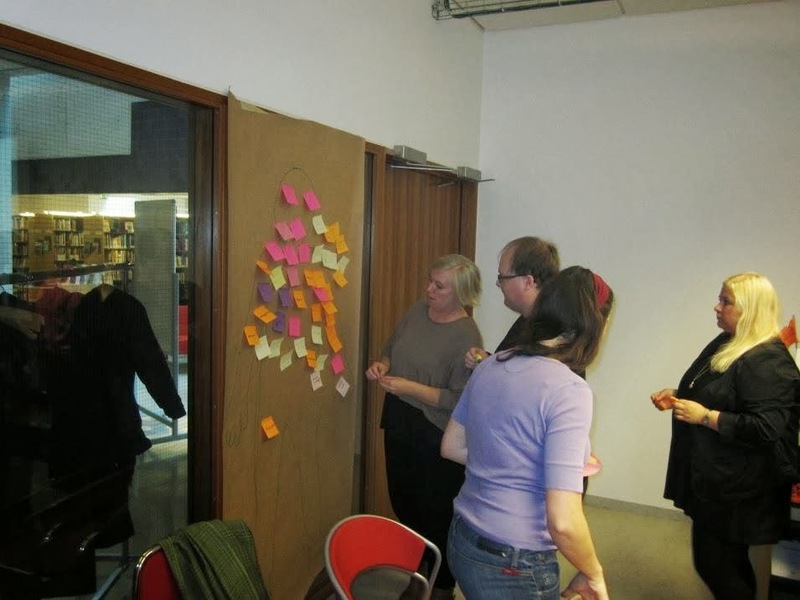 Workshop participants highlighted the modularity and flexibility as key aspects of ADEPTT teacher training. Pedro De Bruyckere (1974) is a Belgian educational scientist at Arteveldehogeschool, Ghent (Belgium) (www.arteveldehs.be) since 2001. He co-wrote 2 books with Bert Smits in which they debunk popular myths on GenY and GenZ, education and pop culture. Pedro is an often asked public speaker, one of his strongest points is that he is funny in explaining serious stuff. They won’t save the world. But they will save their children in case of emergency. They are authors who write new works every single day. They are directors of their own plays. They are actors who will interact with their audience every time the class begins. They need to be child prodigies in administration, keeping track of their own and their pupils evolution. But they will support their pupils. They are no Google, they don’t know everything. and their suggestions will beat any search engine anytime. They are no tablet, but were born in 3D. They are forever young, because being young is contagious. They make a difference, as Taylor Mali shouted. They’re needed, more than ever as the OECD argues. They make our children learn, smile and they console. They are the ones who help discover the miracle of a first sentence being read. They are the one who pick up the children in their world to open up the universe. Teachers are no superheroes, they are always there for their pupils. They help to build the world, day by day. 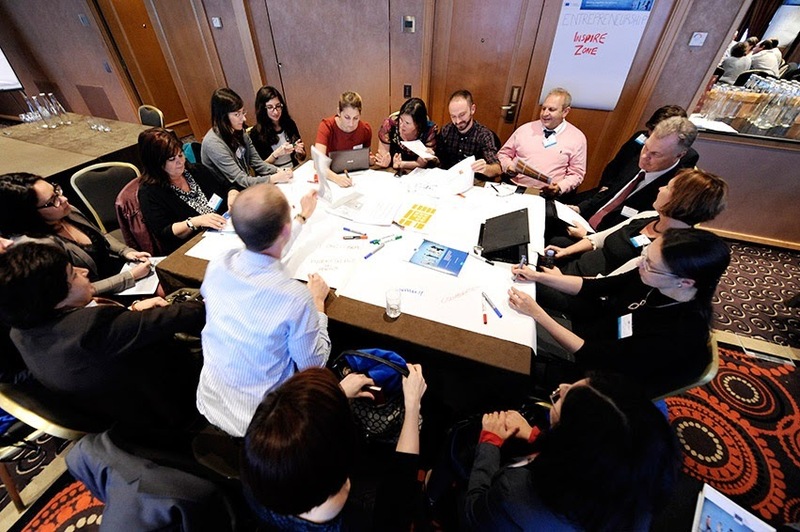 The Education, Training and Youth Forum aims to gather various stakeholders once per year in order to discuss key policy developments linked to the Europe 2020 strategy, the strategic framework for European cooperation in Education and Training (ET2020) and the European Youth strategy. The 2013 Forum will be an opportunity to involve a broad range of stakeholders in discussing the new opportunities offered by Erasmus+, the new funding programme for Education, Training, Youth and Sport for 2014-2020 to support partnerships for reforms in the fields of education, training and youth. 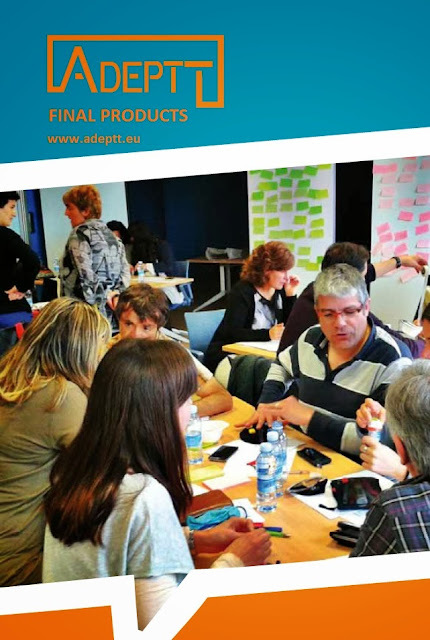 ADEPTT mentioned in new EC publication: "Entrepreneurship Education – A Guide for Educators"! · What are our conclusions from the ADEPTT experience? · Conclusions: How can this be applied going forward? A 10 ECT course on Education, innovation and employment, started with two intensive days on the 19th and 20th of September with 20 eager and interested masters students in education. Two more intensive days are planned in October and a final day in November. This course is a part of a line of study in Leaders, innovation and administration, but is also open for students from other study lines. The course is designed and taught by Svanborg R Jónsdóttir and Ásta Sölvadóttir. The content, exercises and general approach are heavily influenced by the CRCL model from the ADEPTT project. "The aim of this study is to analyze the effectiveness of early entrepreneurship education. To this end, we conduct a randomized field experiment to evaluate a leading entrepreneurship education program that is taught worldwide in the final grade of primary school. We focus on pupils’ development of relevant skill sets for entrepreneurial activity, both cognitive and noncognitive. The results indicate that cognitive entrepreneurial skills are unaffected by the program. However, the program has a robust positive effect on non-cognitive entrepreneurial skills. that non-cognitive entrepreneurial skills are best developed at an early age."